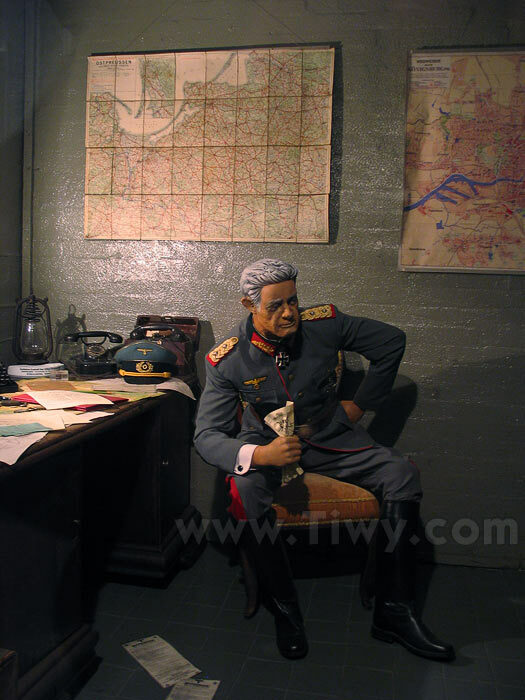 Tiwy.com - Museum “Dugout - bunker of Lasch” - Kaliningrad. Photos. Winter 2011. This material is added after the second trip to Kaliningrad in 2011, a year after the first visit in 2010. 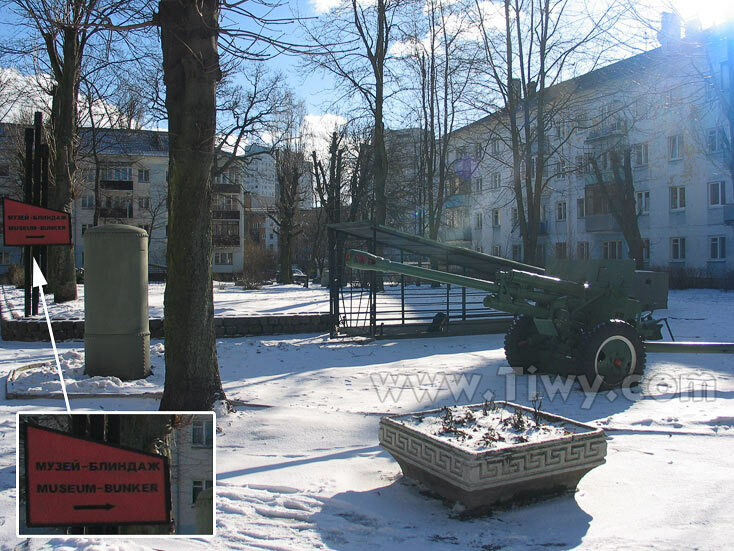 From historical and tourist point of view, the dug-out, or as they say more frequently now, the bunker of Lasch, is an interesting place to see in Kaliningrad. 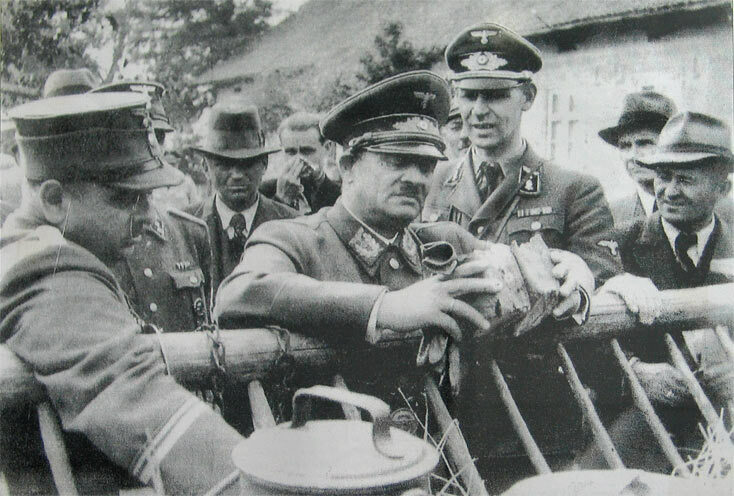 It is named so after the last commandant of Koenigsberg General Otto von Lasch, who took the post on January 28, 1945. 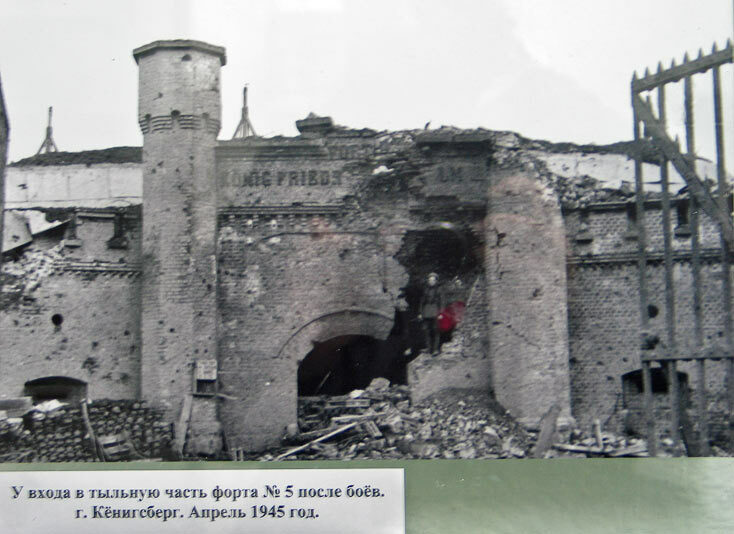 It is from this bunker that Lasch controlled the defense of the city from 6 to April 10, 1945. 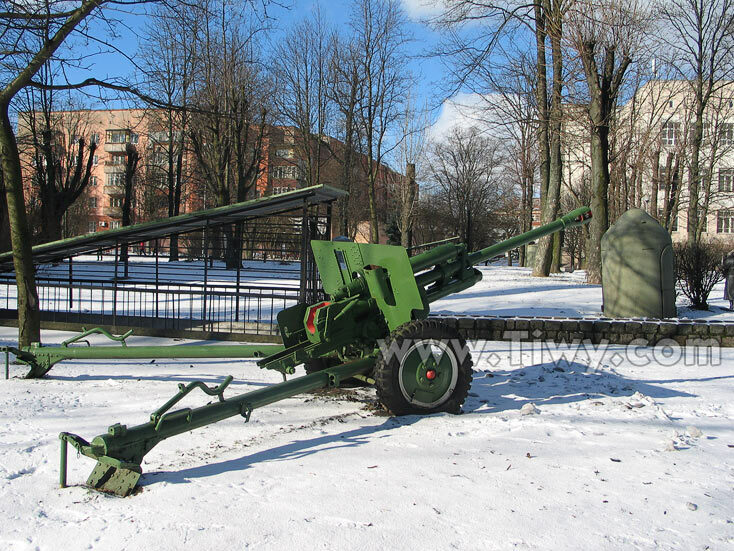 The General was ordered to defend the city and keep it at any cost. The one who gave this full of despair order had better come himself there from Berlin. 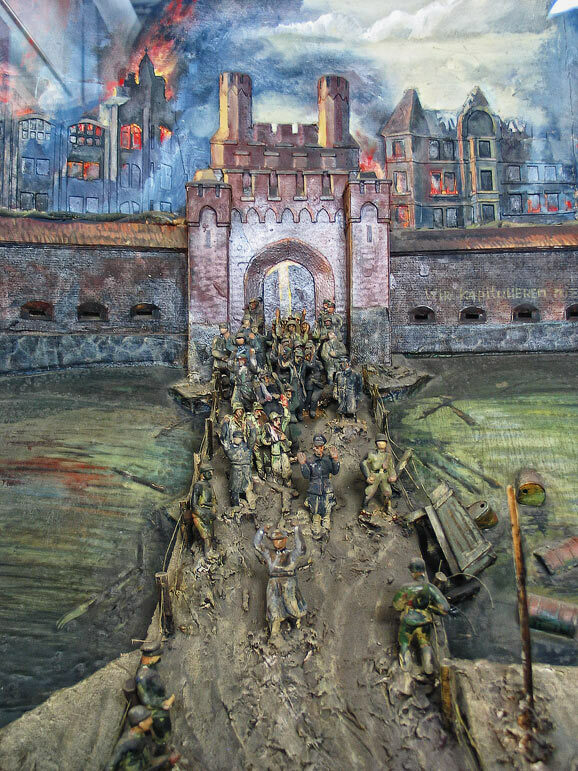 Now the museum-bunker holds the exhibition devoted to the pre-war Koenigsberg, defensive structures, capture of the city by Soviet troops and the unconditional surrender of the German fascist troops of the Koenigsberg garrison. 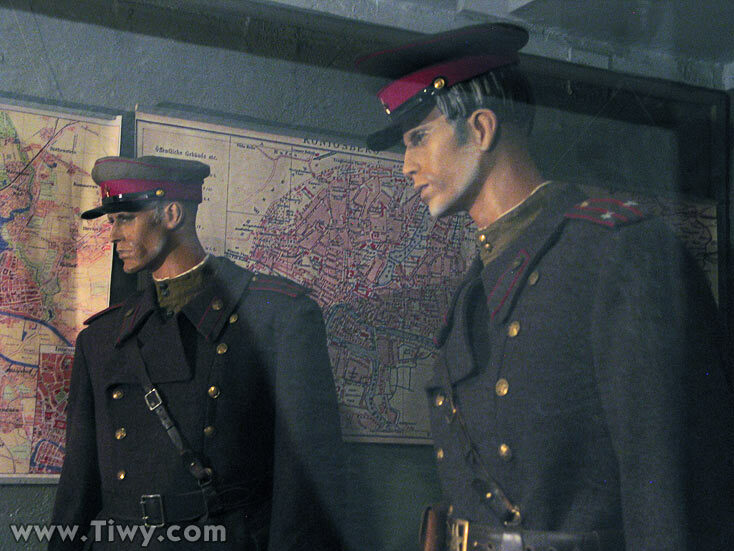 Two short films about the city - the German and Soviet ones are shown in the museum. 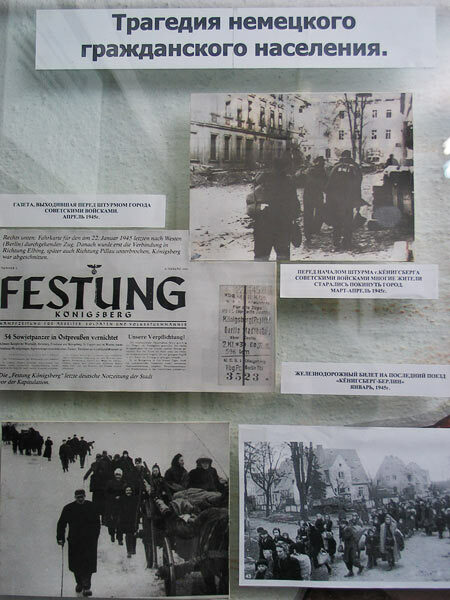 The first film was shot by the Germans about the flourishing Koenigsberg of 1939, the second film - about the assault. 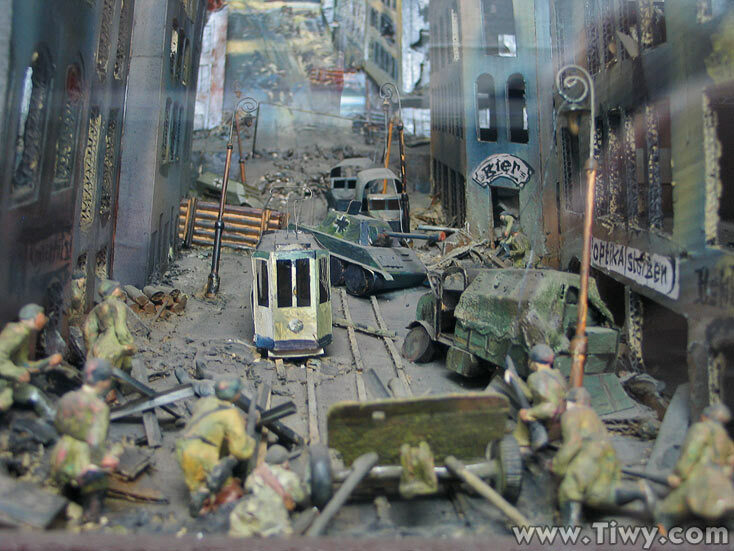 All the museum visitors will appreciate the colorful and exciting dioramas of battles in the streets of Koenigsberg. In 2011 an entry ticket for the citizens of the Russian Federation was worth 50 roubles. For additional 50 roubles, one can get a permit to take pictures. The price for foreign citizens is higher. 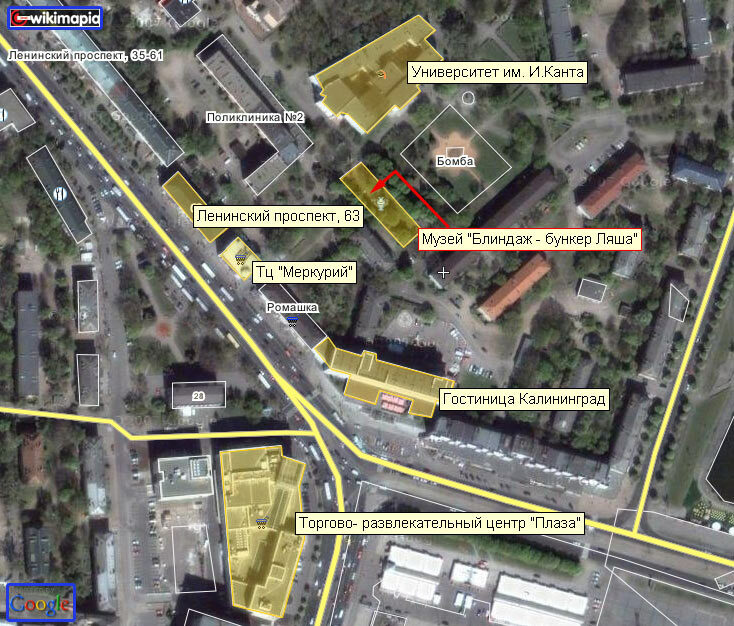 The landmarks for understanding the location of the dugout in the city are the Plaza shopping center, hotel Kaliningrad (in the yard of which the bunker is situated), Kaliningrad University (in front of which there is a bunker) and University Street, which, while passing along Leninsky Avenue(Prospekt), may not be even noticed because somebody, right in the middle of the beginning of the street, has built an arch-building, which presently houses the Mercury shopping center. 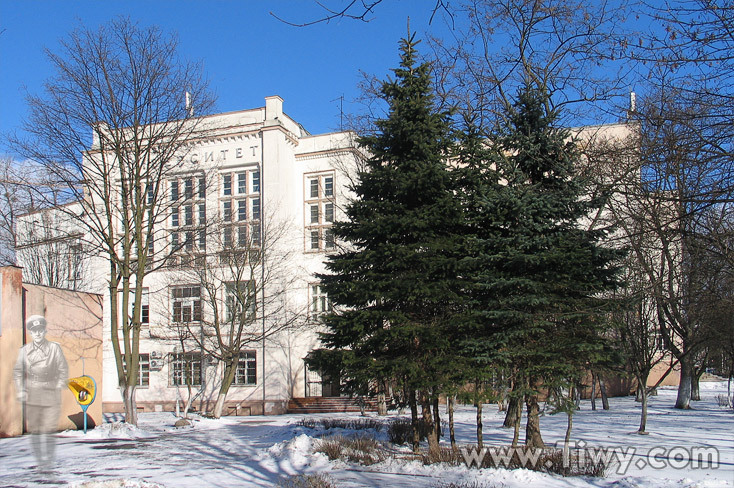 Naturally, there are no street nameplates indicating the way to the museum in Kaliningrad. I repeat - in Kaliningrad tourists are held for fools. 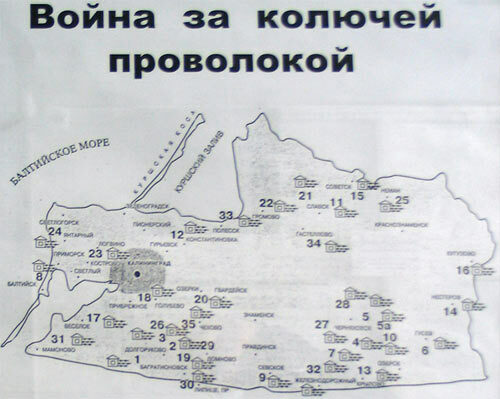 At the bottom of the page there is a map that will help you to find the bunker. 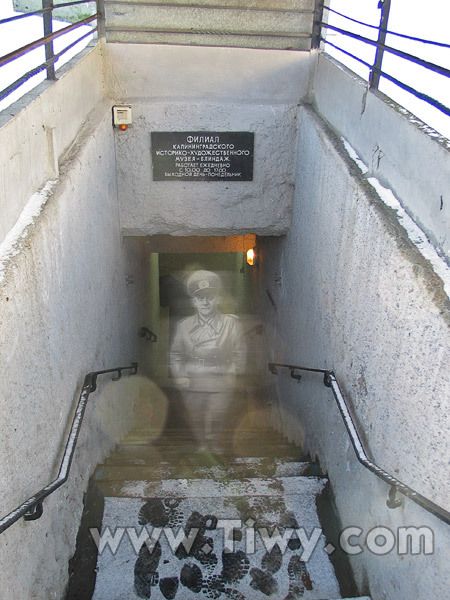 Museum-bunker is open daily from 10:00 to 17:00. 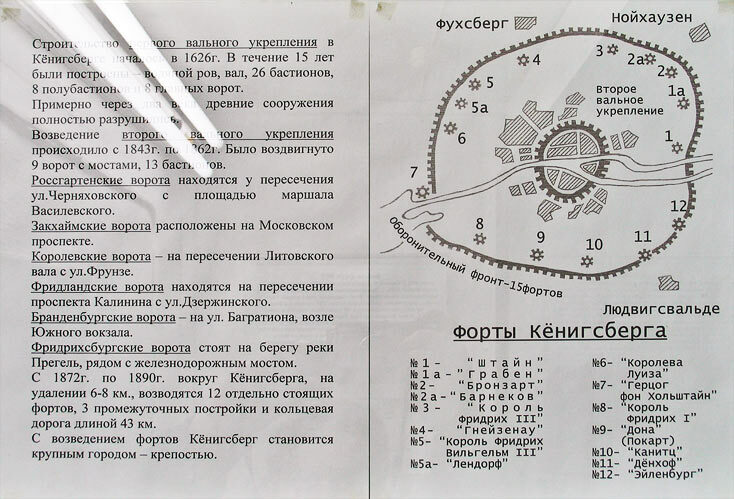 Map with tips, how to find the bunker of Lasch in Kaliningrad. The University is located next to the bunker. City legends say that the Amber Room is hidden somewhere under that bunker. 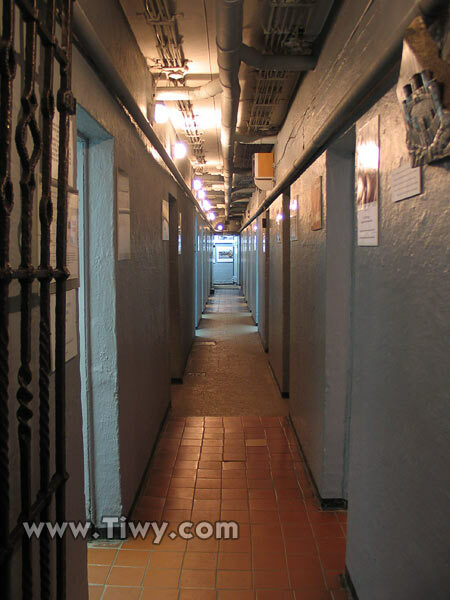 The bunker is a long-term fortification, built in February 1945 for Koenigsberg garrison troops command. 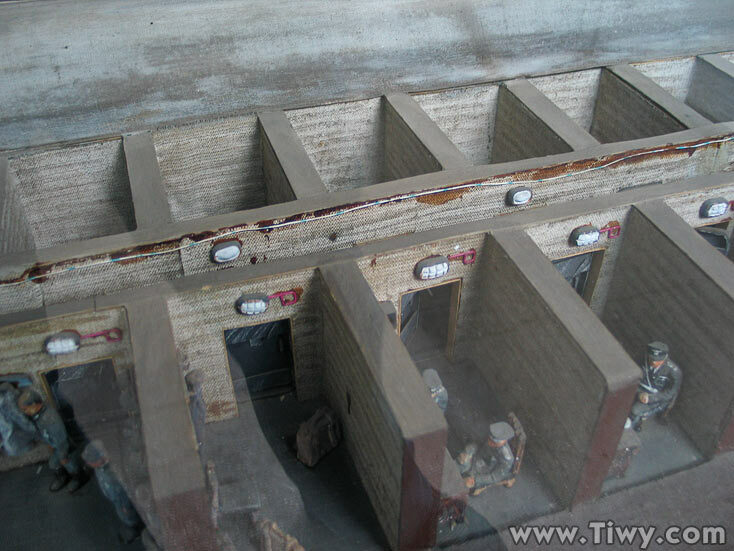 Length of the foundation pit – 42 m.
Width of the foundation pit – 15 m.
Depth of foundation pit - 7m. Thickness of the inner walls - 40-50 cm. Thickness of the exterior walls - 70-80 cm. 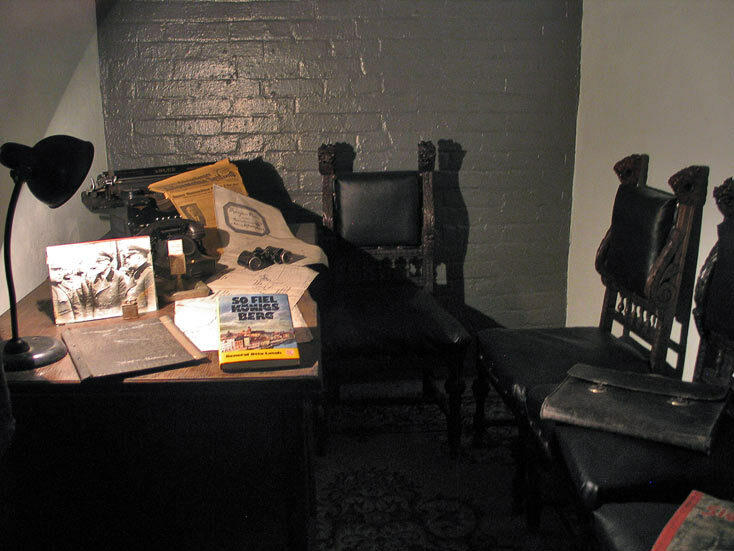 There are 21 rooms in the bunker, 17 accommodated the headquarters staff, 4 were of special purpose. 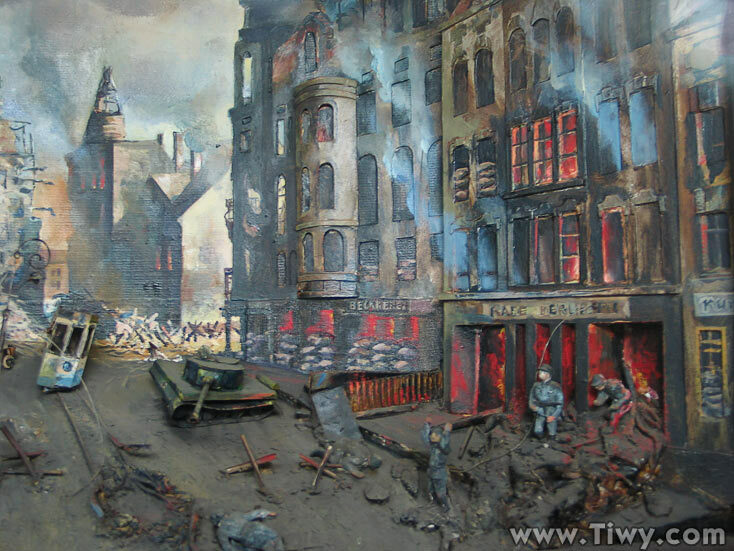 The dug-out was heated and illuminated by electricity, had ventilation, sewage, water supply. 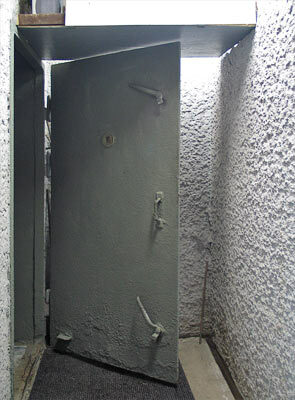 Four tightly closed doors provide protection against chemical agents. 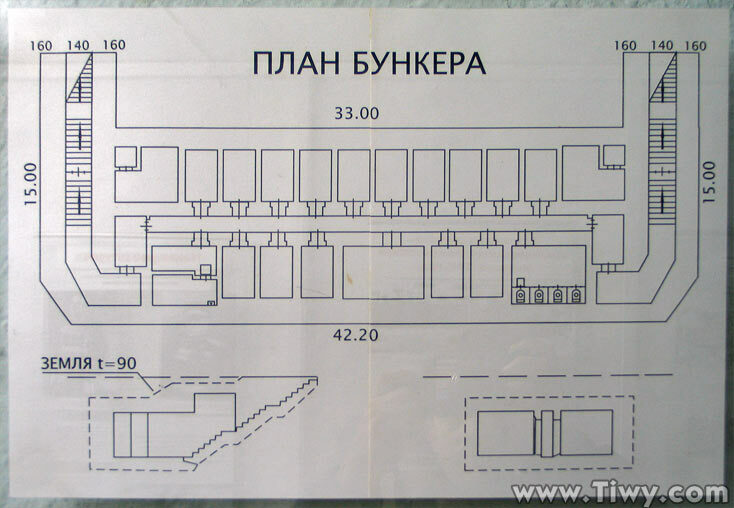 Plan of the bunker of Lasch. 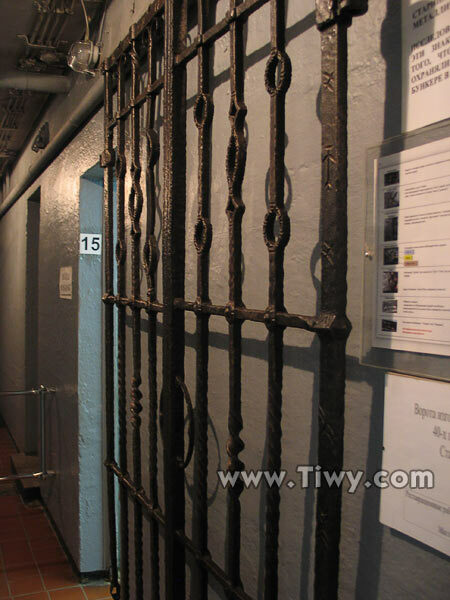 Wrought iron gates with runic symbols. And just imagine, the protection has failed. 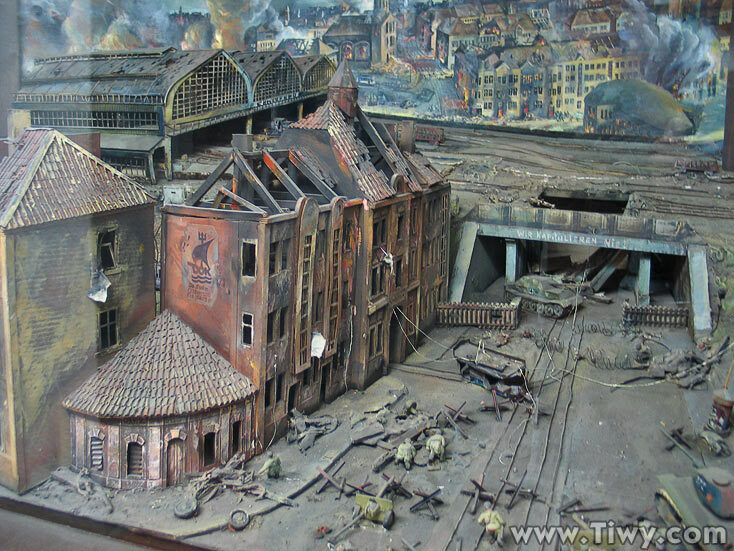 On March 4, 1945 the headquarters of the Koenigsberg German Nazi troops moved into Paradeplatz in the underground bunker. 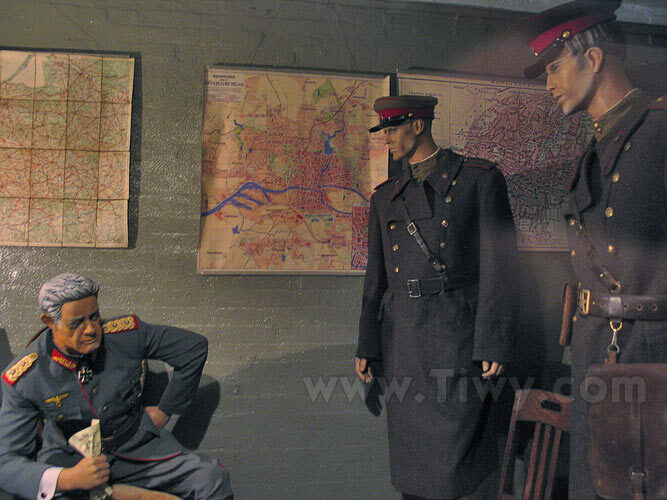 In 1 month and 5 days the city will be captured by the Soviet troops. Picture montage. 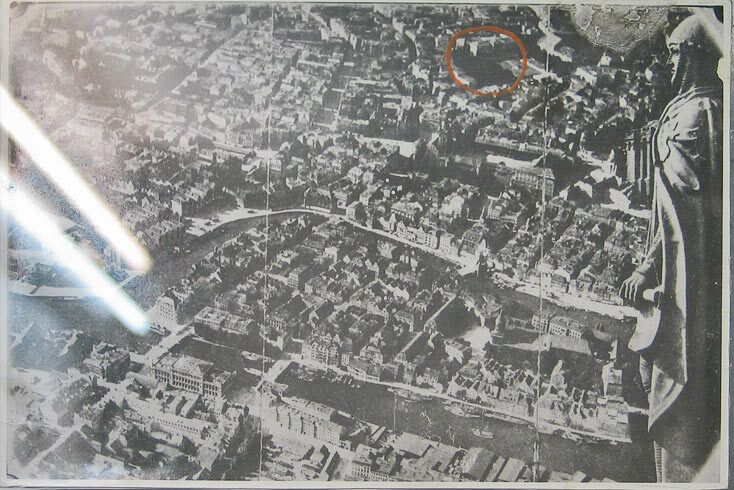 Center of Koenigsberg before 1945. 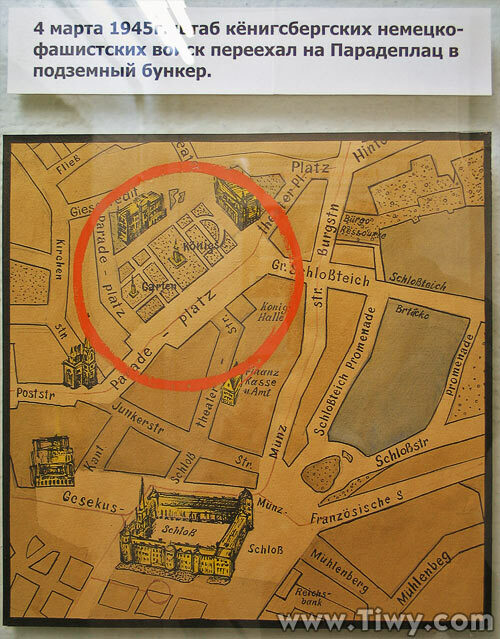 The circle marks the Paradeplatz square where there was the underground bunker. Briefing meeting before the battle. Balance of forces and facilities before assault of Koenigsberg. 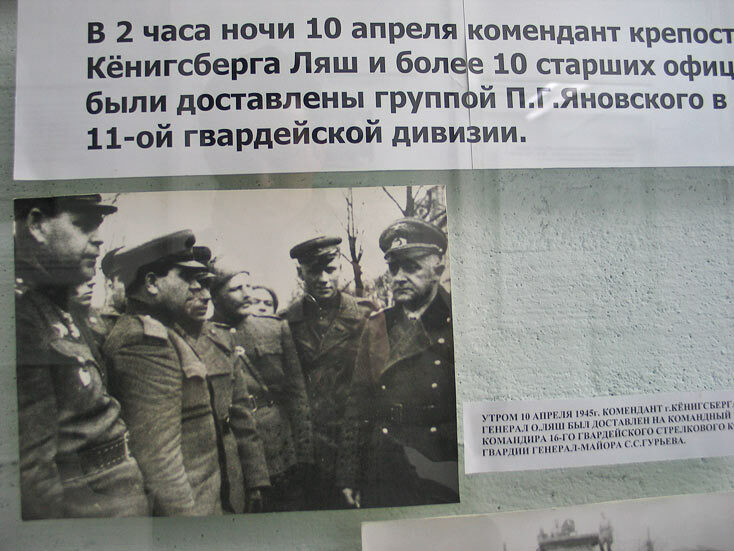 Address of the Soviet troops Commander of the 3rd Belorussian front Marshal of the Soviet Union Vasilevsky to German generals, officers and soldiers of Koenigsberg army group (April 7, 1945.). 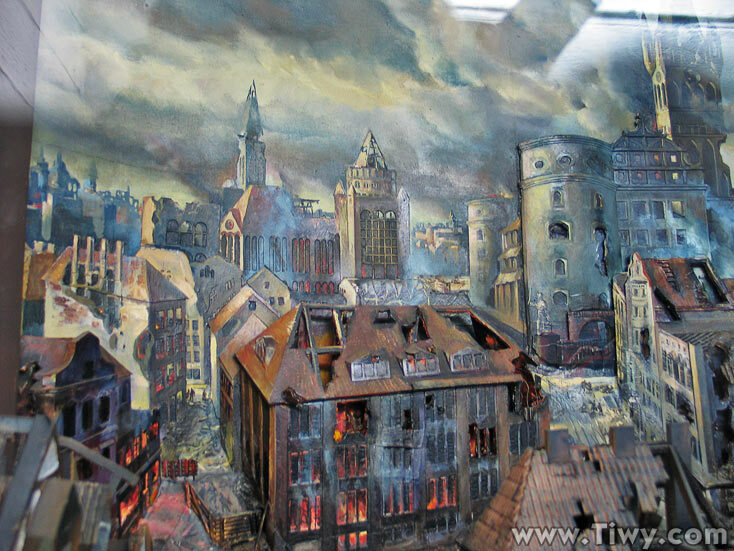 The tragedy of the German civilians. Fort No. 5 (King Friedrich Wilhelm III – XIX century fortification), protecting the northwest direction to Koenigsberg. The Fort is surrounded by a moat. 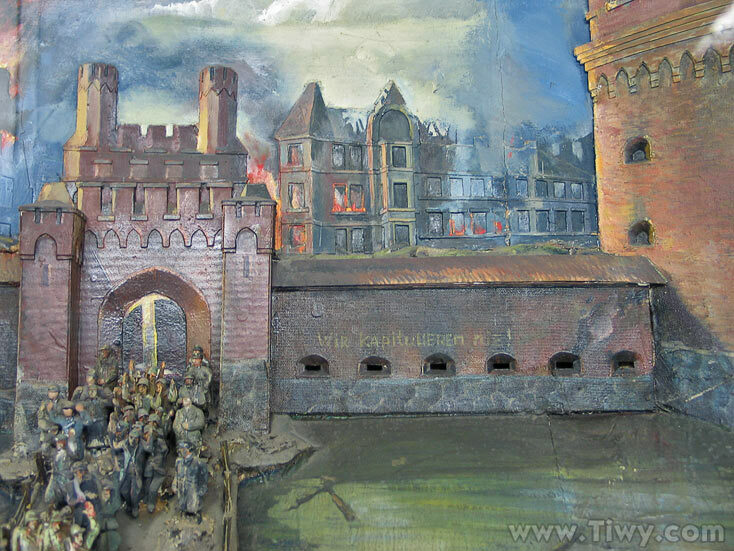 The garrison of the fortification numbered more than 350 soldiers and officers: there were 50 machine guns, artillery pieces and mortars, food stocks could last for 3-4 months. 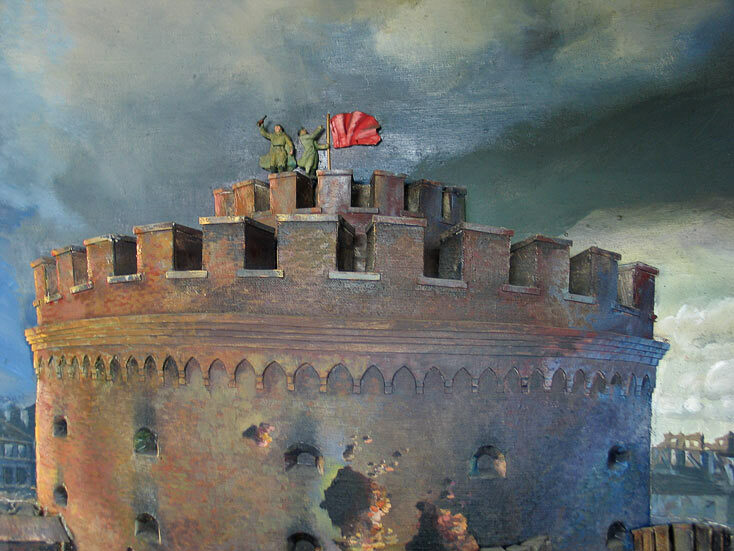 The Soviet troops forced the crossing of the moat, broke into the fort and after a 16-hour long combat, on April 8, completed the rout of the garrison. 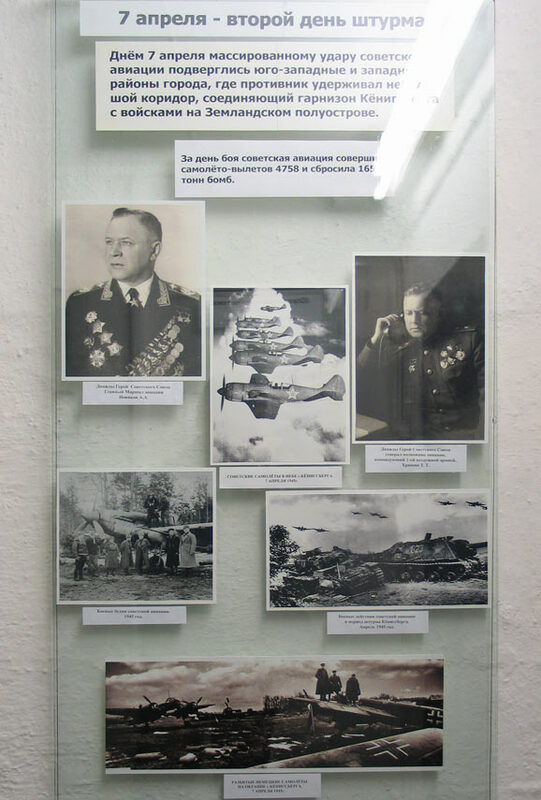 The most distinguished in the combats for the fort 15 soldiers and officers were awarded the Title of Hero of the Soviet Union, and three junior commanders were awarded the 1st degree Order of Glory. Instead of the fort No. 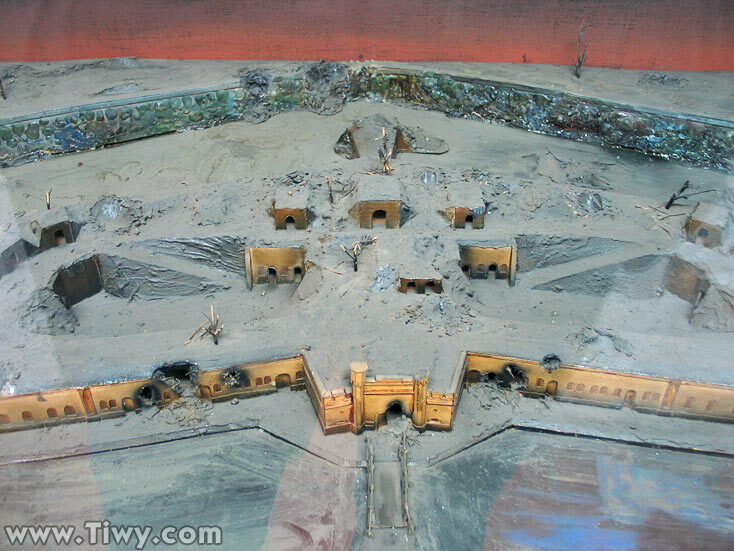 5, I mistakenly went to an abandoned fort No. 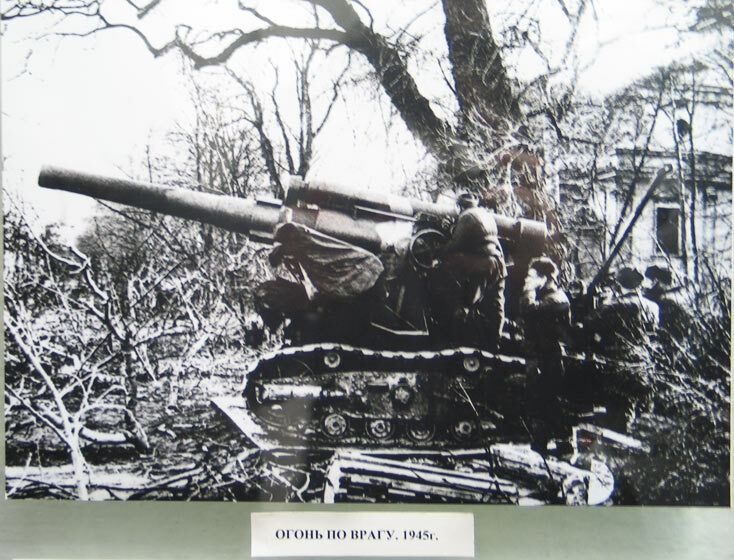 4 (Gneisenau), a few photos of which can be found here. At the entrance to the rear part of the fort No. 5 after the battles. City of Koenigsberg. April 1945. - "This is the end..."
- "Take your things and out!" Many years have passed since the war, but the inhabitants of the houses located next to the “bunker of Lasch” claim that they used to see a certain silhouette, dressed in a gray Wehrmach overcoat, appeared from it. 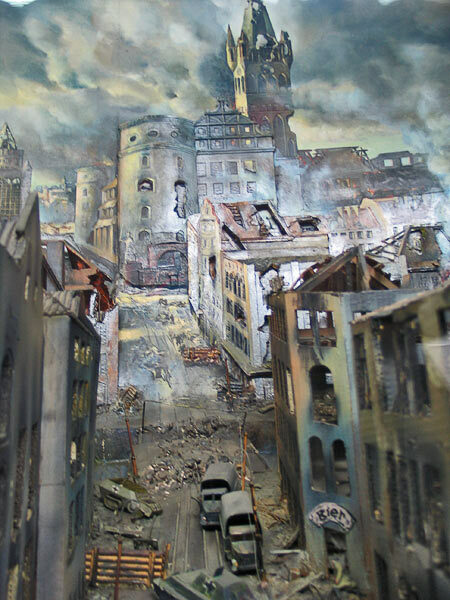 The silhouette goes back and forth along the university buildings, as if deciding whether it is time to surrender to save the lives of the remaining defenders of Koenigsberg. Sometimes the General calls the Governor from the bunker and says: "I am ready to surrender." "Stop fooling me! - screams the Governor. – Well, for crying out loud!" 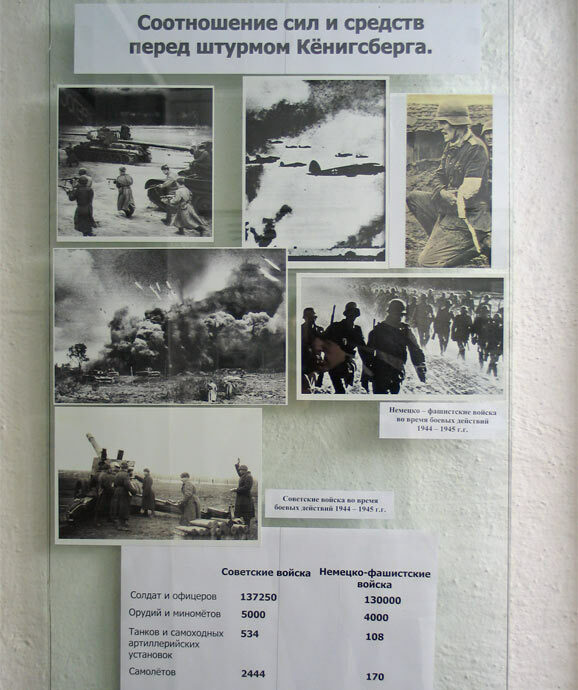 Reconstruction of historical events that occurred in the bunker on April 9, 1945. 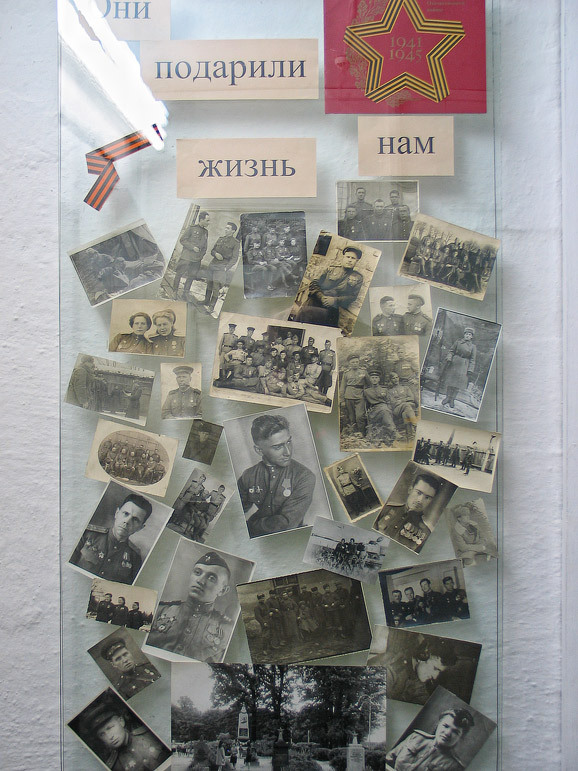 Soviet officer from the group of Colonel Yanovsky P.G. 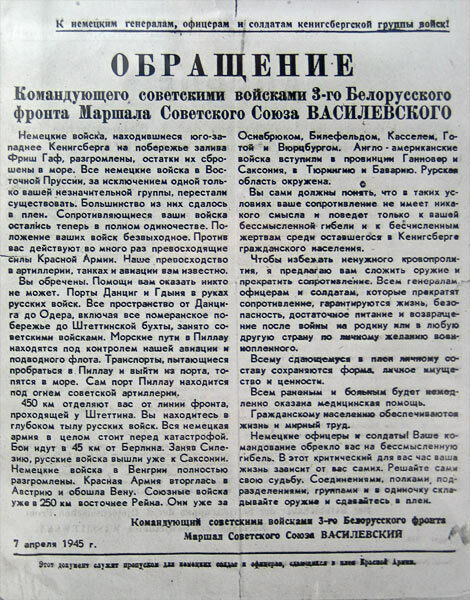 parliamentaire hands over the text of address of the Commander of the 3rd Belorussian front Marshal of the Soviet Union Vasilevsky A.M. to the German radio operator with a proposal to stop resistance and surrender. 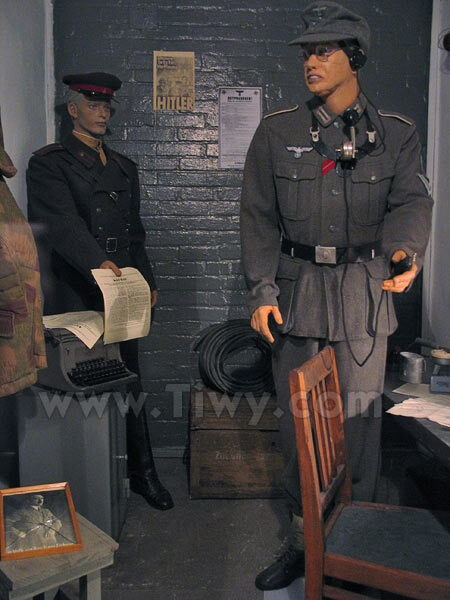 German radio operator prepares to transmit the text of this address to still the defending German troops. That is how the German garrison was preparing to full and complete capitulation. 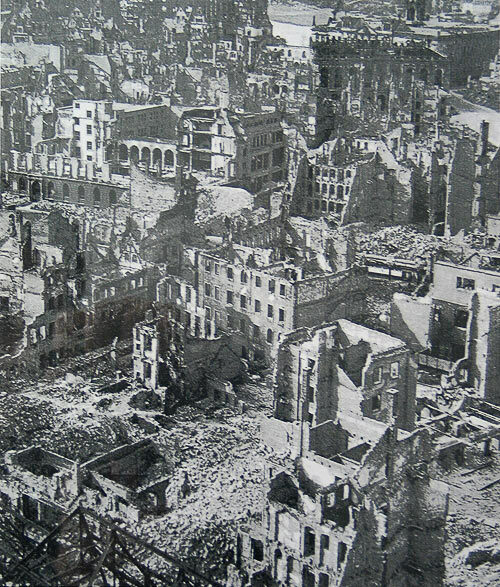 Results of assault of Koenigsberg. 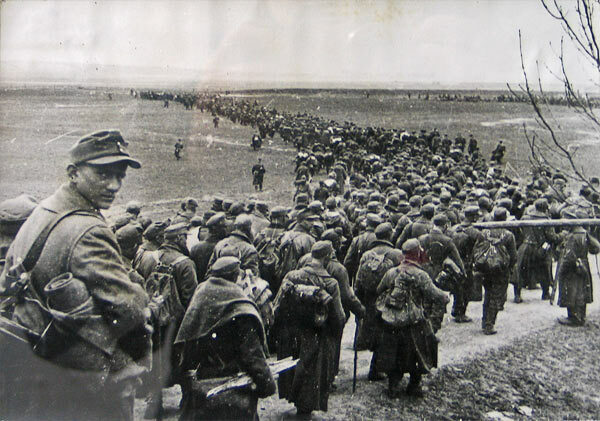 From 6 to April 10 more than 92,000 German soldiers and officers were taken prisoners. 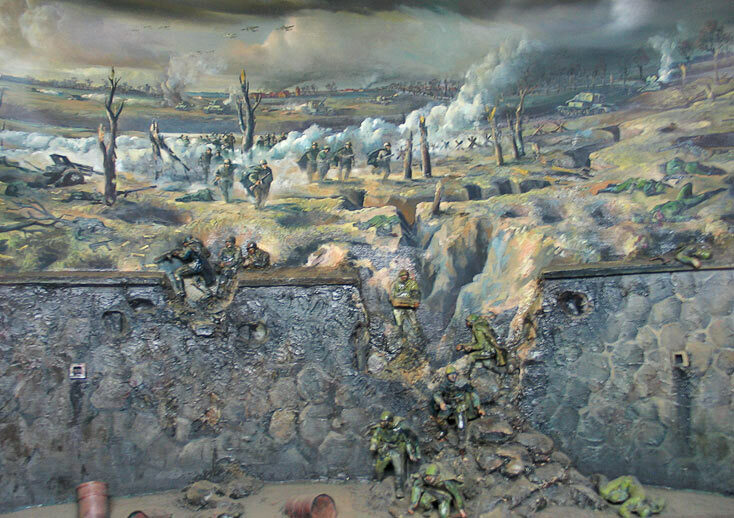 During the same period 42,000 Germans soldiers and officers were killed in action. 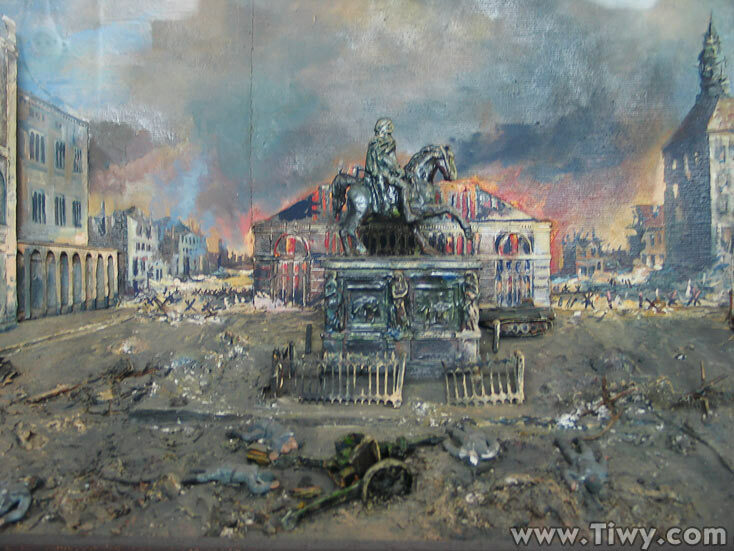 For General Otto von Lasch the end was not so bad. 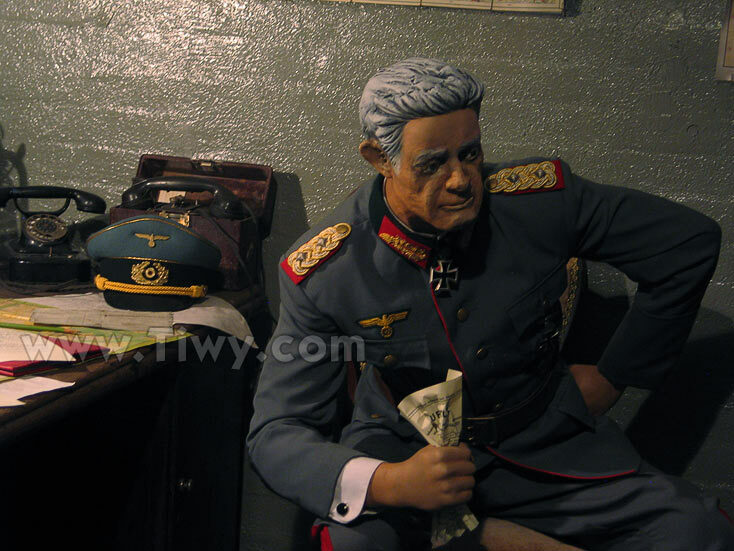 After the surrender he spent 10 years in camps and then returned to live out his remaining days in Germany. A column of German prisoners of war. 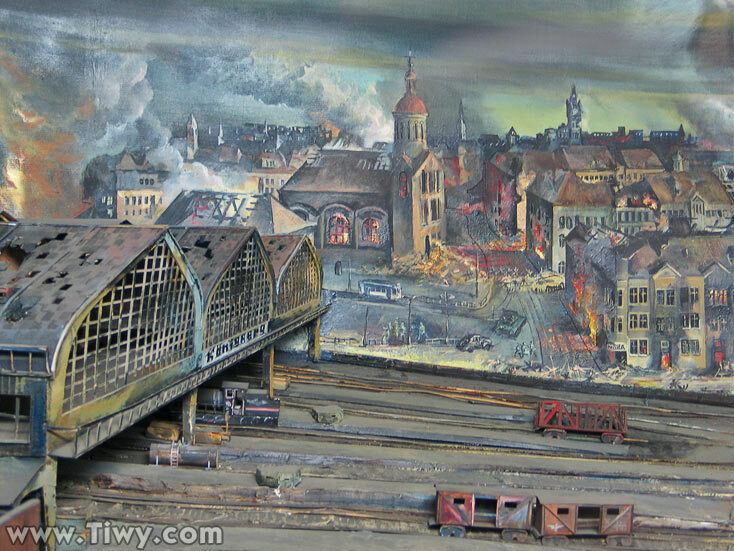 East Prussia, 1945. 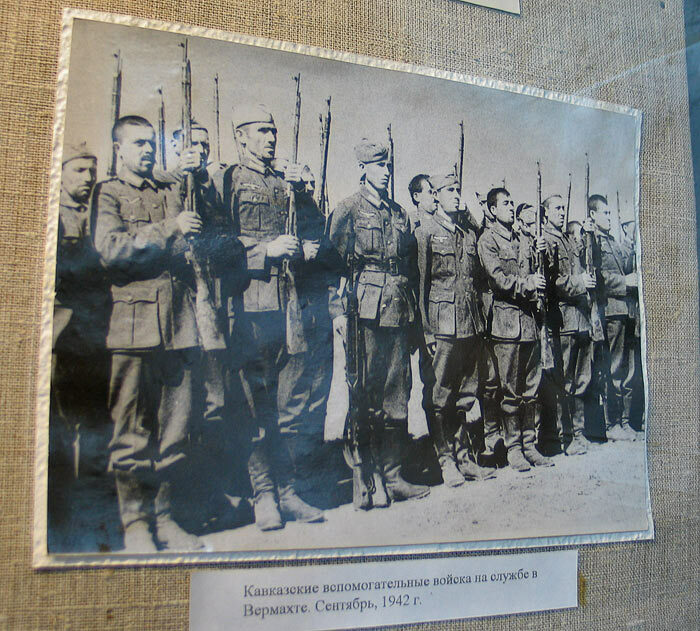 Brave Soviet soldiers. They gave us life. 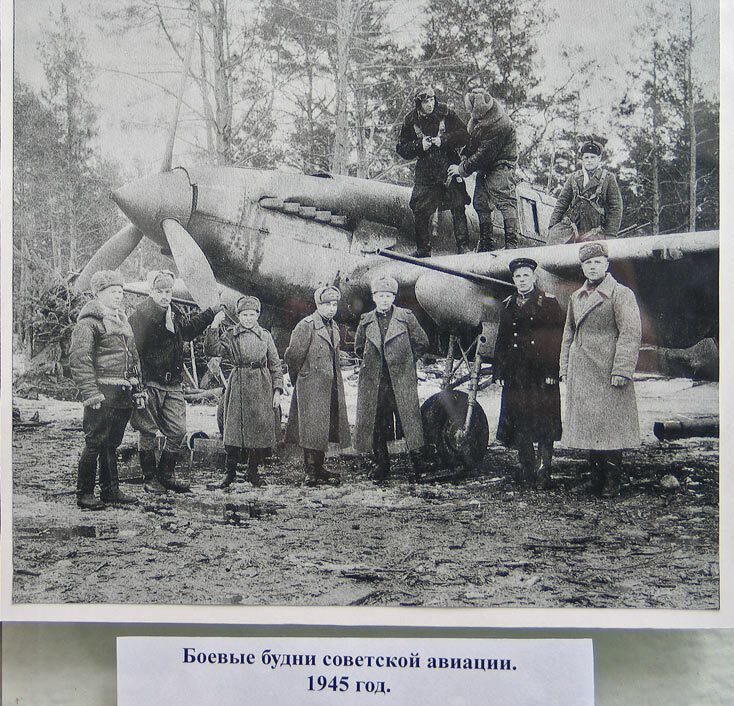 War everyday life of the Soviet aviation. 1945. 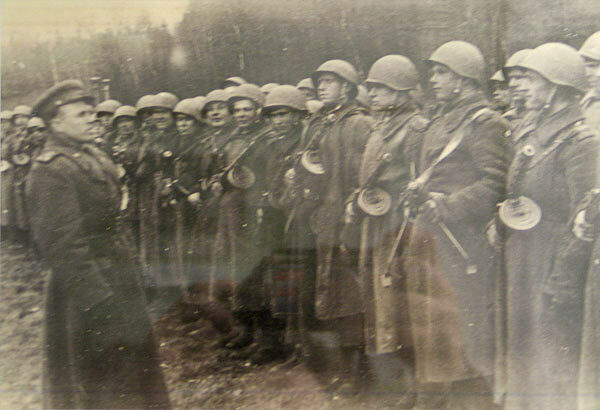 The Caucasian auxiliary troops serving in the Wehrmacht. September, 1942. 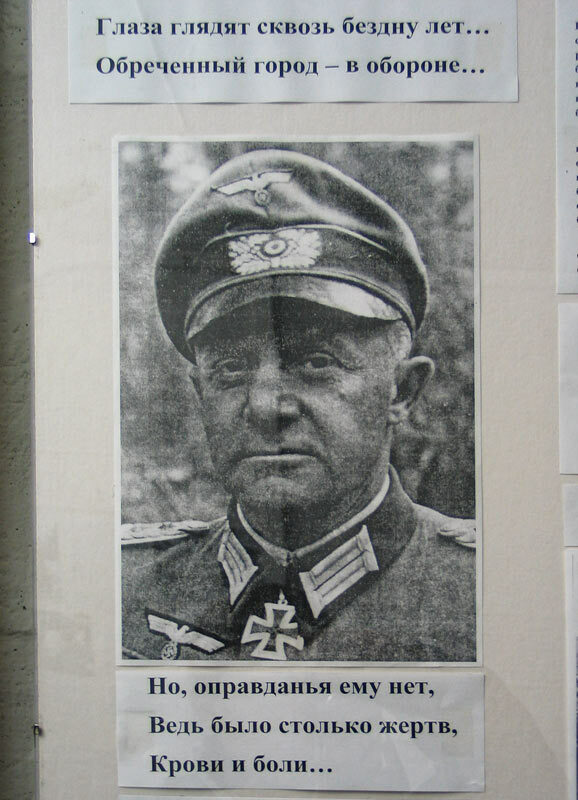 Erich Koch, Gauleiter of the East Prussia, in the estate Gross Friedrichsberg. East Prussia, end of 1930s. After the war, he spent his life in a Polish prison and lived up to the perestroika-collapse of the USSR (1986). In this photo Eric is obviously imitating his boss. In our time, the U.S. Air Force pilots are very fond of such as photos from all parts of the world.